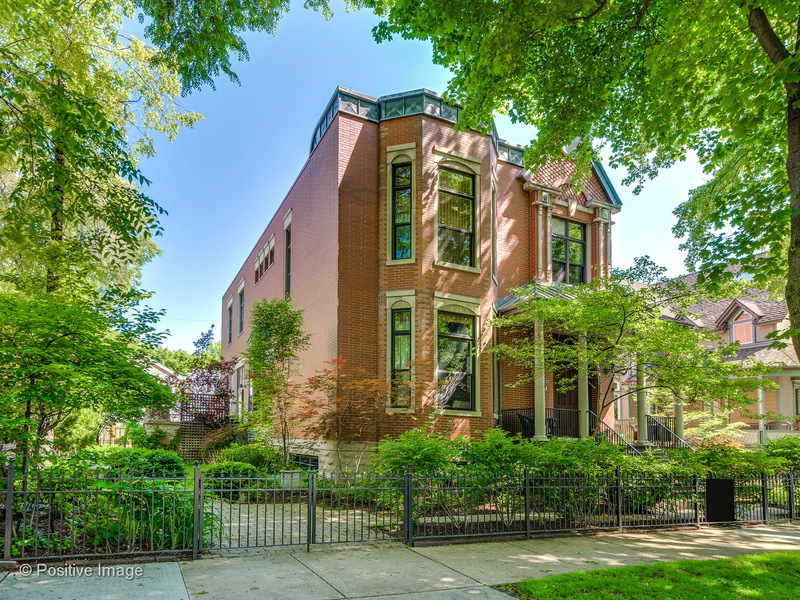 Spectacular opportunity for an amazingly wide & sun filled home, on a 65&apos; wide lot in Lincoln Park. Perfect for entertaining, the main level offers gracious room sizes and super high ceilings. Wide and gracious formal living and dining rooms lead to the large kitchen with all top end appliances, beautiful white cabinetry, and open to the adjacent great room. The greatroom offers a fireplace and direct access onto the stone patio with a stove and pizza oven. A grand curved staircase leads to the second floor, where you will find three ensuite bedrooms including the super luxe master suite with separate library or sitting room & wonderful dressing/closet space, and a spa like bath with Carrera marble. The lower level offers plenty of flexibility with recreational and exercise space, additional bedrooms, fabulous laundry room, and wine room with plenty of storage. The outdoor space cannot be missed w/sport court that can double as guest parking. 3 car attached garage and mudroom.